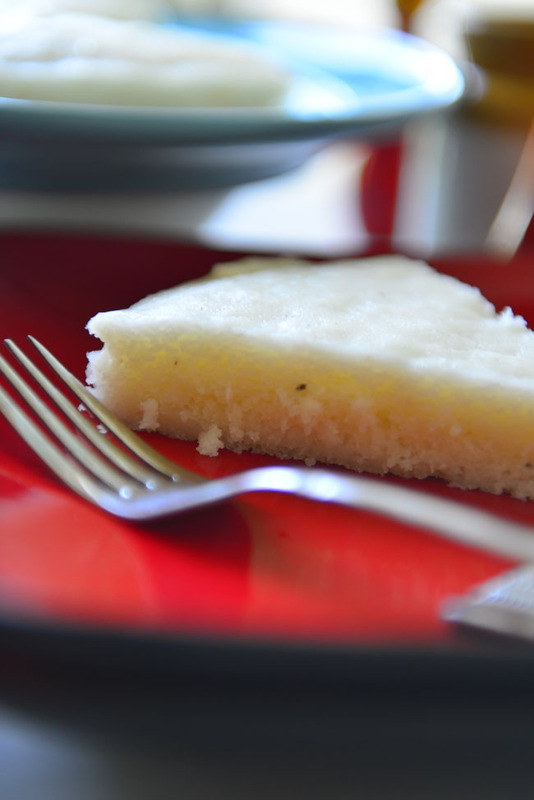 Vattayappam or Vattappam or Vatteppam is a steamed rice cake from Kerala. 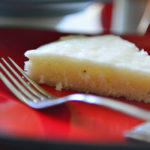 It is a pristine white, spongy cake made with fermented rice batter. 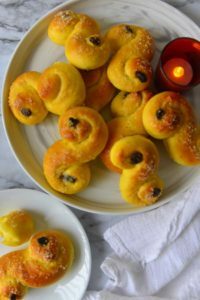 Usually these are sweetened with sugar and lightly flavored with cardamom. 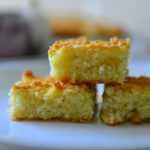 This simple unassuming looking cake just melts in the mouth. It is filled with millions of small air pockets. All right, I admit , I haven’t counted them. But you take a look at the cross section and it seems quite plausible. All this magic happens with no gluten strands to provide support structure! You read right – this is a gluten free recipe. There are just 5 required ingredients here rice, coconut, sugar, leavening and water. Any flavoring and spices used are optional. So I guess I have rephrase that – it is gluten free and vegan recipe. See the millions of air pockets that I was talking about 🙂 . This one is taller than usual – about 2 inches. In the south Appam is used to refer to a variety of cakes – steamed, deep fried, shallow fried and even wrapped in banana leaves and baked. They come in all shapes and sizes – Kallappam is a breakfast pancake, neiappam is fried sweet, kumbil appam is steamed and wrapped in banana or large bay, so on. In any case if someone is serving you appam you are in for a treat. 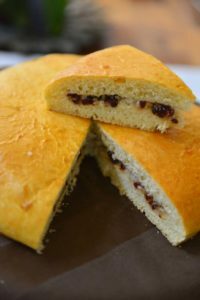 The flour used in this steam cake is rice flour. The quality of rice flour is very important, do not use sticky rice flours. Less starchy flours work better here. Usually Indian grocery stores carry rice flour for making Vattayappam or use the raw rice flour available there. Another option is to soak rice and grind. 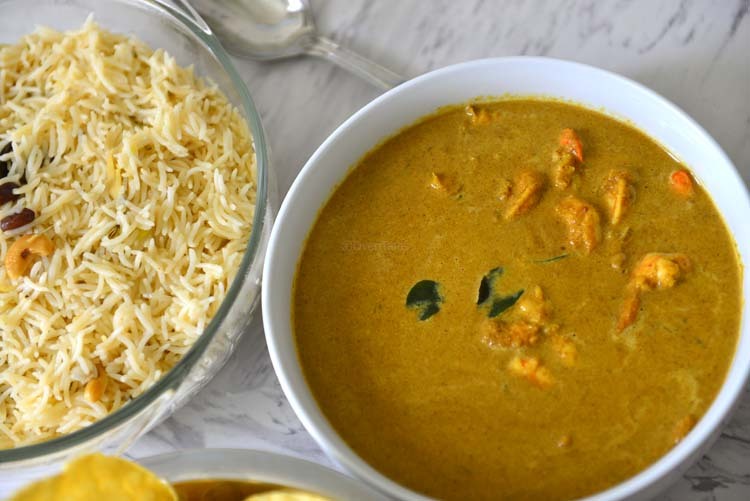 The typical Indian varieties of rice like ponni rice, idli rice, sona masoori, jeera or even basmati will work well in this recipe. When making this substitution use 1 3/4 C rice for 2 C rice flour. 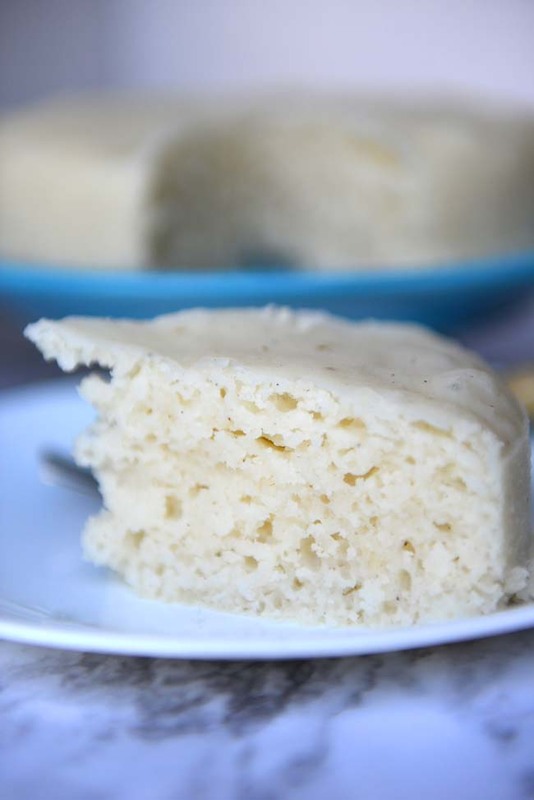 Since rice flour is gluten free cooked starch is used to provide the structural support required to keep the steamed cake from going flat for cooking. Typically it is a little broken rice , or flour that is cooked until it is thickened (similar to tang zhong) . Leftover cooked rice is a good substitute as well. Coconut is a must have ingredient here. The recipe below uses coconut paste. The grated coconut is ground and added to the batter. This improves the taste as well as the texture of the cake. When grated coconut is not available you can make it with only coconut milk. In that case increase the cooked starches a little. Vattayappam is a leavened cake. Yeast is used to leaven and the slow fermentation taking 6 to 8 hours adds to the taste. If you are allergic to yeast substitute 1 tbsp of baking powder in the recipe to make an instant version. I do not recommend doing this unless you have to as the yeast version is much better in terms of flavor. 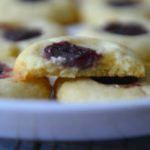 Sugar is the sweetener and the food for yeast in this recipe. ¾ C is my limit for 2 C of flour. It makes a sweet Vattayappam without making it overpoweringly sweet. Too much sugar hides the flavors created by fermentation. For a very mild sweet appam use ½ C.
You could also serve this as a steamed bread with a spicy curry for dinner as well. In that case keep the sugar even lower, about 2 to 4 tbsp for 2 C of rice flour. Even if it is meant as a savory side a little sugar i needed to feed the yeast. This is a thinner one – about 1 inch tall and just what tea time called for ! The amount of water used, how thick or thin the batter is, influences the texture of the appam. The batter should be thick, and a bit viscous like pancake batter or idli batter. If it turns out be a very thin batter the steamed cake will not be spongy very dense. I love the vattayappam for its classic simplicity. Plain white, with no distractions taking the attention away from it texture and taste. 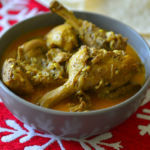 So I do not like to use too much spices or flavors save a touch of cardamom powder. The sponginess of this steam cake is lost with extra additions. The nuts and raisins weigh down on the batter interfering with vattayappam’s ability to rise. If you must add these add them to the steam cake halfway through the steaming process. This way you can ensure that not all of them sink to the bottom of the cake. There are many ways to steam this cake. Use a steamer rack . 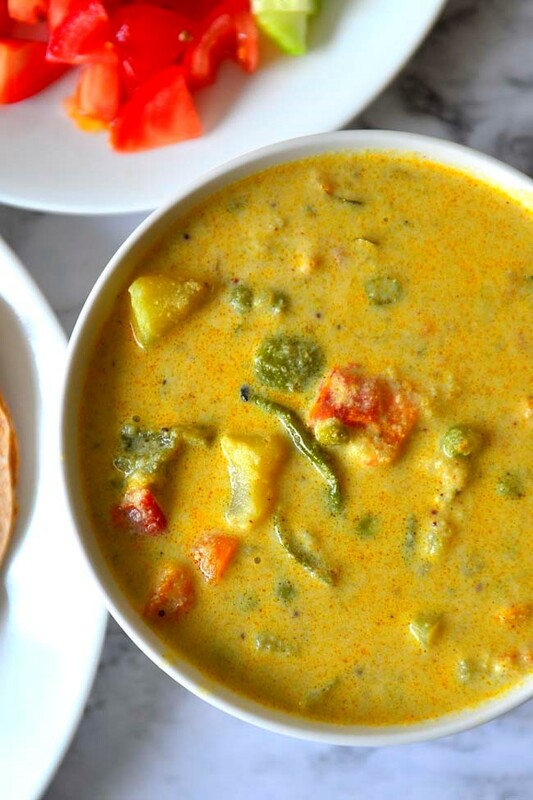 Idli steamer – If you are south Indian chances are you have idli steamer. It is ideal for this recipe. Pressure cooker – Fill the pressure cooker with about 1 inch water. Set a raised platform (steamer rack, steel or other heatproof bowls) in the water. The cake pan is to be set on top of the raised platform. Make sure that this set up keeps the pan at least 1 cm above the water. Do not seal the steam vent. Instant Pot – use at least the minimum amount of water recommended for your version of IP and use the steamer rack. 1 – 2. 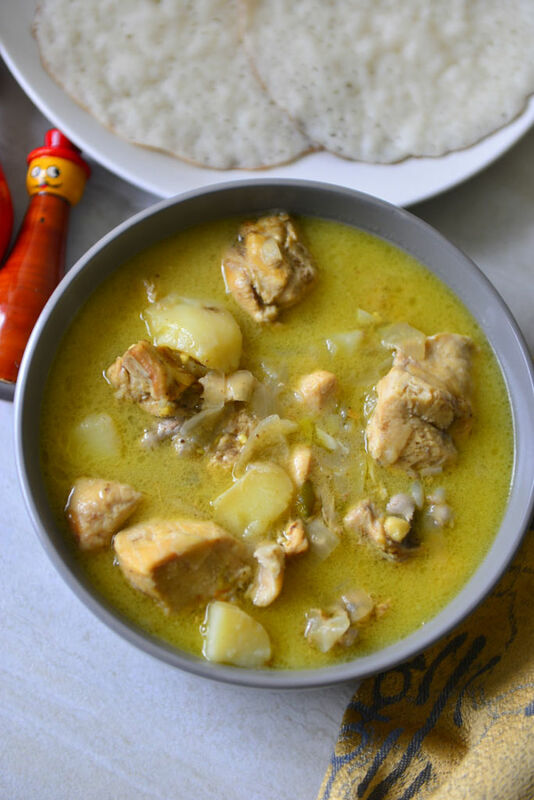 Make the cooked starch or thari katchiyathu. 3. Grind coconut with a little sugar. 5 – 7. Mix all the above ingredients with rice flour and a pich of salt. Add enough water to make thick batter. 9 – 10 Mix in extra sugar and cardamom. 11 – 12 Pour into pans and rest for 20 minutes. How to know when the vattayappam is cooked through ? 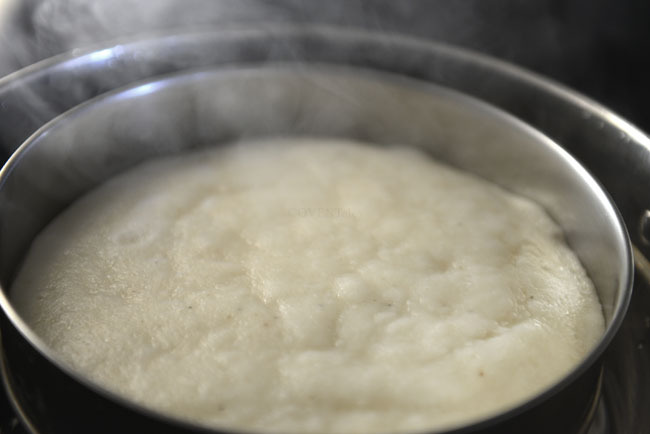 Usually 20 minutes of steaming is all that is needed to cook vattayappam. When cooked the cake will begin to pull away every so lightly from the sides of the pan as in the picture. Another way to check is to stick a tooth pick into the center of the cake. If it comes out clean the cake is done cooking. If the batter is too runny, mix in a little more flour and let it rest for about 30 minutes or until the batter has visibly bulked up. If you must add dried fruits or nuts, it is better to add them halfway through steaming. This will prevent the nuts and raisins from sinking to the bottom. Do not fill the pan more than half way through, in other words allow enough room for the steam cake to expand. Steam should be allowed to escape from the steamer. If using a pressure cooker /instant pot for steaming make sure that the steam vents are open. When opening the steamer ensure that no water condensed on the lid falls on vattayappam. 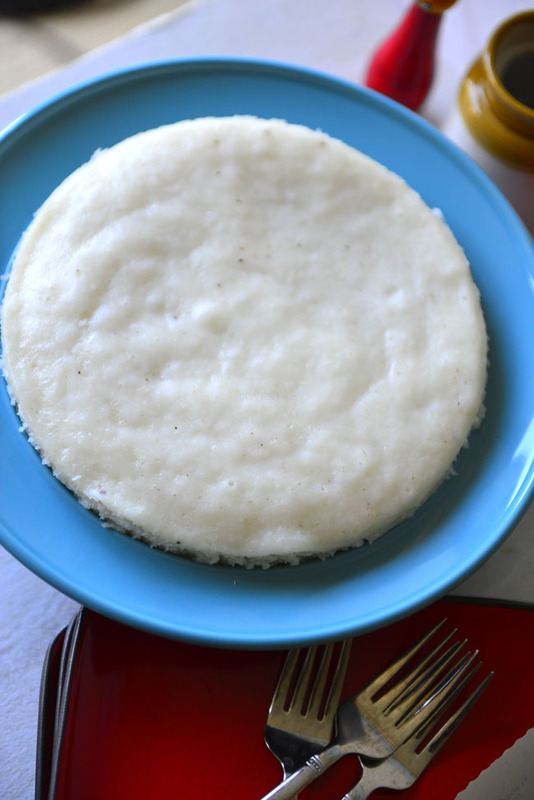 Highly starchy rice flour makes sticky vattayappam. Once in the steamer nothing can be done to salvage these. But any leftover batter can be saved by adding equal amount of flour and fermenting. These can be cooked on the griddle just like pancakes. If the batter is over fermented – risen and fallen back – the appams will not rise well upon steaming. Mix in more flour to the batter and let it rest until it has visibly bulked up before making appams. If the batter is rapidly rising (very warm environment) you can slow it down by transferring the container to the fridge. If the room temperature is cold the batter may take too long to rise. In that case place it in a warm environment – warmed oven, ice box with a hot back, under a warm light. Do not heat the batter directly. The recipe for vattayappam is given below. it is tailored for the modern kitchens. If you want to make it in the traditional way refer to the notes are given below the recipe. Vattayappm is a soft and spongy rice cake. It is made with a fermented rice batter. Coconut , sugar and cardamom are the other ingredients that give it its classic taste and aroma. Take ½ C water in a pan and bring to boil. Add the broken rice or semolina to it cook for 1 minute stirring often. The water is absorbed into the solids and a thick mix is formed. Turn off the heat and let it cool until warm to touch. Warm the remaining water to about 100 °F or just warm to touch. Take 1/4 C water in a bowl and stir in 1 tbsp of sugar. Sprinkle the yeast on top and set aside to bloom for 5 to 10 minutes. In a blender grind the grated coconut and 2 Tbsp sugar to a fairly smooth paste. If needed add a little water to facilitate grinding. 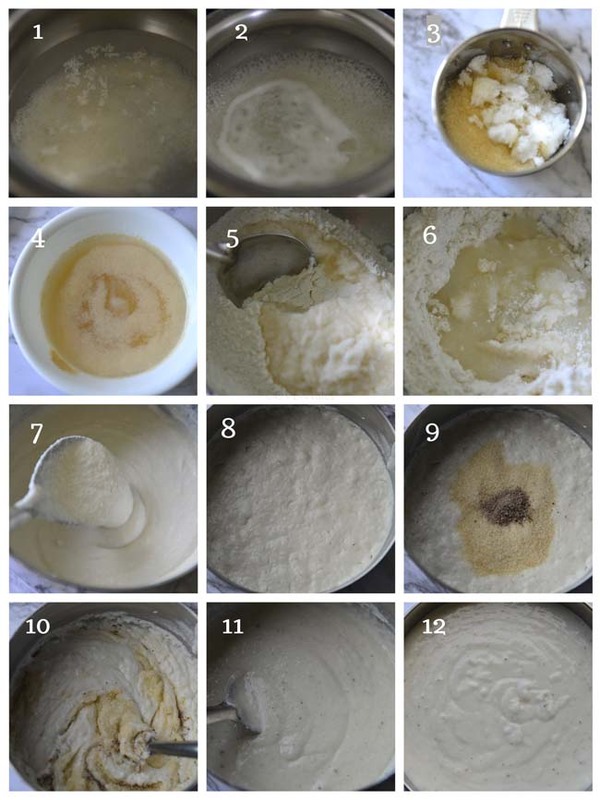 Mix the rice flour, the cooled starch, salt, activated yeast solution and the ground paste in a large bowl. Add enough of the remaining water to this mix to make a very thick batter. Cover the bowl and set aside to ferment in a warm place for 6 to 8 hours. The batter has fermented enough when it almost doubled in size, and you notice yeast activity on top. Crush the cardamom seeds to a fine powder. Sprinkle the cardamom powder and the remaining sugar on top of the batter. Mix well. Grease the bottom and sides of a steamer pan – similar to an 8- or 9-inch circular cake tin. Pour the mix into a steamer pan and set aside for 15 to 20 minutes. Meanwhile, bring water to boil in the steamer. When the water boils set the prepared pan in the steamer. The bottom of the pan should not touch the water. Cover and steam for 20 minutes over medium heat. The vattayappam is ready when it begins to slightly pull away from the sides of the pan. Remove from the steamer, cool to room temperature slice and serve. If making fresh ground rice batter use 1 3/4 C rice as equivalent to 2 C rice flour. Semolina is often used to make the thari kachiyathu (the cooked starch). Keep in mind that semolina is a wheat product. For a gluten free version use rice or even left over cooked rice. Other spices that are used to flavor vattayappam are fennel and cumin. Try to stick to one spice at a time . 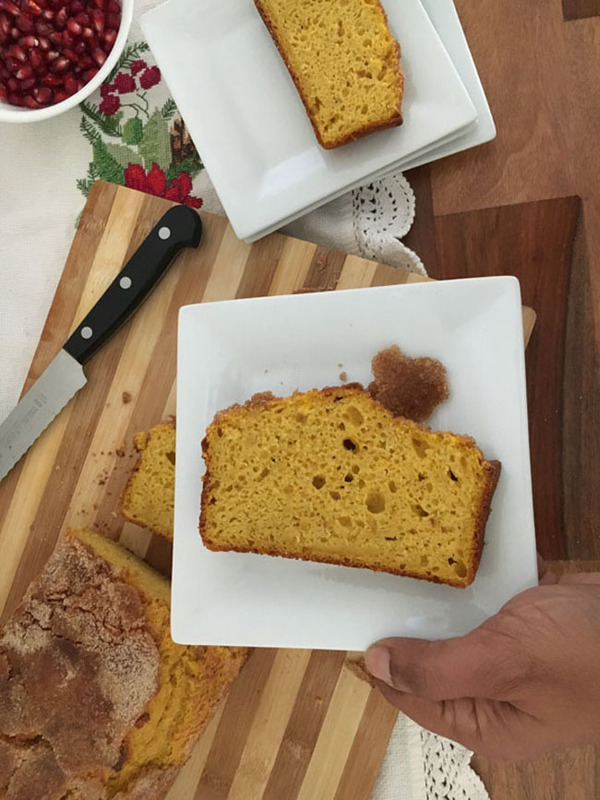 This cake when made properly is very delicate and the spices tend to overpower. 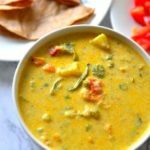 When grated coconut is not available, use canned or powdered coconut milk. Use 1 and half to 2 times the cooked starch as in the recipe. Traditionally this cake was made with freshly ground batter. For this rice has to be soaked in water for 3 to 4 hours. Drain and grind to fine paste with just enough water. 1 to 2 tablespoons of this paste is cooked to make the cooked starch portion of the batter. From here on the rice paste and cooked starch can be used as int eh recipe. The only difference is that less amount of water is needed to make the batter.